Between 7 and 13 May, 2011, the Project ‘4’ of the Nile Basin Development Challenge (NBDC) will organise a week-long workshop on modeling in the Program. The aim is to bring together the project modeling teams to discuss emerging issues and work together on current technical challenges and cross-cutting issues. Particular issues include scales of model applications; linking productivity and economies; linking productivity and hydrology; populating the ECOSAUT model with scarce data; and specific model technicalities such as how to incorporate RMS and how to couple SWAT and WEAP. The workshop starts with a one day field trip to Jeldu on Saturday 7th May. The first Partner’s Technical Workshop on the Mapping, Targeting and Scaling out of rainwater interventions in the Ethiopian Highlands project was held March 28-29 2011 on the ILRI Campus in Addis Ababa. With participants from national partners, the meeting promoted discussion and exchanges on rainwater management related experiences amongst partners. It also provided an opportunity for preliminary identification of agricultural practices relevant for improved targeting of interventions. During the workshop, discussion was driven by concrete objectives of moving towards a common understanding of rainwater management strategies, in addition to identifying and categorizing currently implemented and potentially effective agricultural practices. The information gathered throughout the workshop will help define and support a structure to prioritize practices in the Ethiopian Highlands with regards to environmental settings and adoption factors. Moreover, the discussion contributed to generate a conceptual outline of the spatially explicit decision support tools along with project output products ensuring capacity building beyond the project duration and scope. 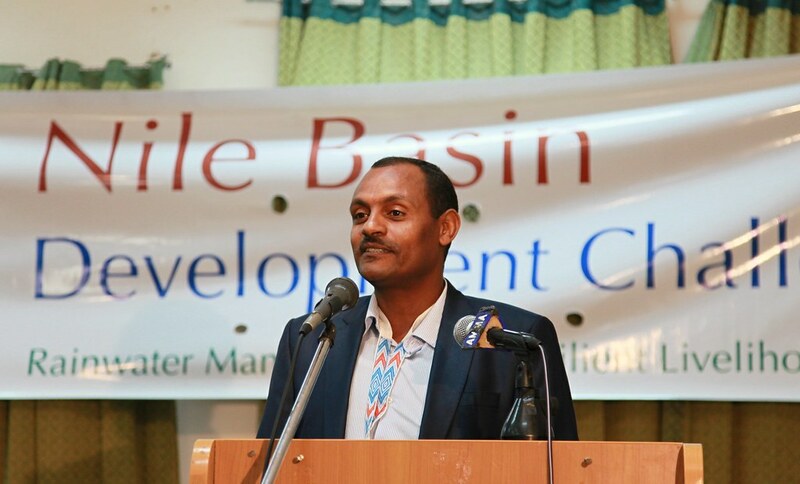 Last week, Dr. Tilahun Amede, leader of the Nile Basin Development Challenge (NBDC) spoke at the opening of the international conference on ‘Ecosystem Conservation and Sustainable Development’, held in Ambo, Ethiopia, 10-12 February 2011. The meeting explored ways to minimize the negative impacts of human involvement on forest, land and water resources, provide long term solutions to sustaining natural resources and create economic incentives to sustain rural livelihoods. The next conference of ECOCASD will be organized in Bangalore, India in 2012.